Doom Sayer, the new collection of short stories by Zachary T. Owen (a past horror contributor to GeekRex) came out earlier this month, and it's pretty fantastic. The collection of twelve stories tells tales of dark fantasy and absurdist body horror, and comes highly recommended from GeekRex! I had a chance to talk briefly with Zach and ask him a few questions about the book, and he was kind enough to provide GeekRex with an excerpt from one of the stories, "The Orphan Room." 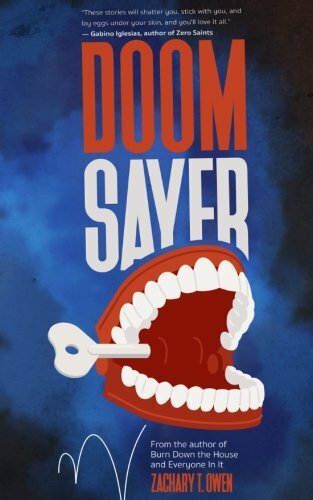 Harper W. Harris: One of the things that is really unique about Doom Sayer is how different all the stories are–they range from comedically ridiculous to disturbingly dark. How do you go about picking which stories go into a collection, and do you try to pick those with different tones? What stories don’t make the cut? Zachary T. Owen: I tend to adhere to a cliché and “go with my gut.” Ultimately, it's up to the publisher what stories don't make the cut. I'm at a point in my career where I rarely write stories I don't think are worth seeing through. Usually if a short story isn't worthy, I never finish it. As far as tone—that's all a reflection of the varying styles and degrees of horror that are trapped in my head. Sometimes I like to write about things that bother and repulse me because then I can make some sense of them or do harm to monsters. Other times, like with “The Eye of the Devil is Brown,” I'm just trying to have a bit of sick fun with the reader and give them a break from bleakness. I try to arrange the table of contents to allow for variety. HWH: I love the name and cover art for the book; why Doom Sayer and the windup teeth? ZTO: It fell together in sort of a free-association way. To be frank, during a moment of intense anxiety my mind chose to repeat the word “doomsayer” over and over again as a sort of mantra. I don't know what it accomplished, and I was in a dark place at the time, but ultimately the word stuck. I separated it into two words and imagined it in a huge, imposing font. Doom Sayer seemed like the perfect set of words for volatile times, both in the world and my own head. 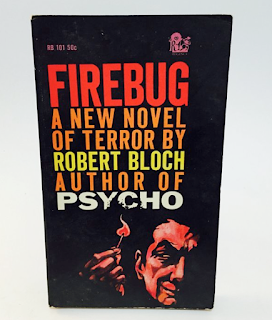 With big publishers, authors don't have much say in their book cover--but the indie press allows for some freedom. Black Rainbows gave me the go-ahead to use my own graphic designer of choice, Trisha Swindell. I wanted to approach her with an interesting design, something a little different than what you might find on most horror covers. At first I couldn't conjure an image to go with the words, but I'd been carrying around a set of chattering teeth I'd purchased at a toy store and it suddenly made sense. To be a doomsayer is to use your mouth to speak doom, and here were these chattering teeth. 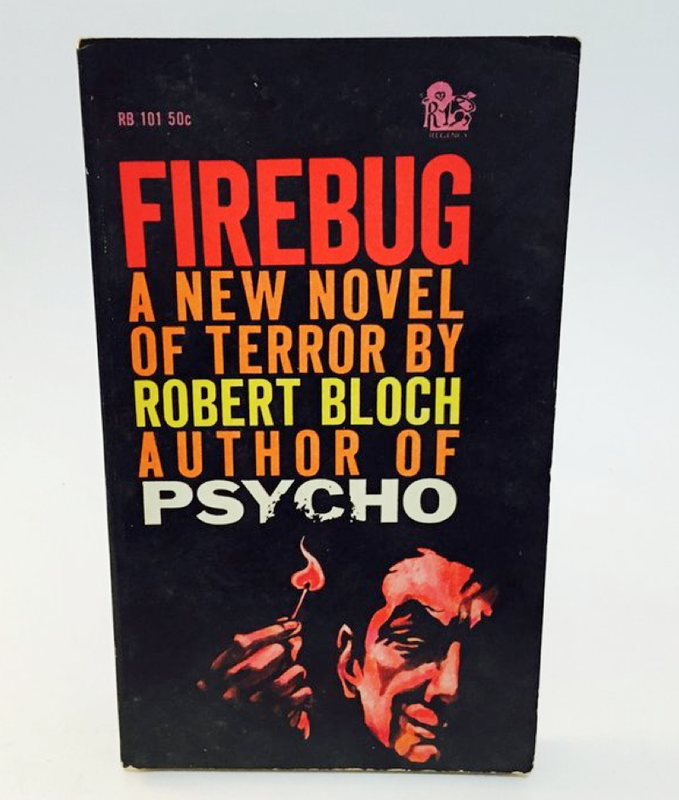 I'd also been really into Robert Bloch at the time and some of his old book covers used expressive font and a simple but interesting image. HWH: The story that opens the book, “Soundman,” premiered as an audio story on the No Sleep Podcast (Season 7, Episode 2). How was that process, and did hearing the story as a full production with cast, sound effects, music, etc. affect the way you think about “Soundman” or other stories? ZTO: I fully believe that listening to Soundman on No Sleep is the superior way to experience the story. When they accepted it for publication they were somewhat hesitant to adapt it—it was very demanding, perhaps because sounds played such a crucial part of the story. When I finally heard Soundman I was impressed by the production value. It was like listening to a radio play. I've toyed with doing audio books, but nothing will ever top their rendition of Soundman. One idea I've played around with is doing an audio book that relies on sound and engages the listener in an almost interactive experience, somewhat like Jeff Bridge's Sleeping Tapes. Something that places them as the protagonist of my narrative and must be listened to late at night, preferably before bed—to encourage them to dream about the experience. It sounds a bit pretentious, but I think it could be a lot of fun. HWH: Doom Sayer is your third collection of short stories. What’s next? Any book signings or events coming up? ZTO: I'm hoping to do a small book tour this summer. I'd like to get out to Erie, Pittsburgh, maybe New York City and do some readings. I've had a table at the Eerie Horror Fest a few times to sell books. The attendance hasn't been as great in recent years, so we'll see what happens. As for my writing, I'm currently collaborating with Jonathan Persinger on our magnum opus, You, too. It's a 90s period piece about the crumbling lives of small town people who are forced into a rude awakening by a gang of creature-punks called the Dandies (who first appeared in my story “Forgotten Tenants”). It's as much a drama as it is a horror story. That’s what the whisperers of the streets say. But how, Michelle wonders, can they know that nobody escapes? The very utterance of the phrase Orphan Room seems to indicate an awareness that this place, whether in this reality or another shifting plane, exists. And an awareness of its existence dictates that somebody has been there and lived to tell the tale. Just as easily it is a fairy tale, another morbid urban myth to rationalize missing children. It’s easy for children and adults to construct dark fantasies explaining what they cannot accept: children run away, they are raped and killed (frequently by their own relatives). They are drowned, burned, and suffocated. They perish in the streets, in empty houses, in houses filled to brimming with people, in houses of the mind, in forgotten ghettos, forgotten alleyways, decrepit playgrounds, in the pit of the American dream. Children die. Their festering, putrescent bodies are found in dad’s freezer, in neglected cribs, in the arms of mothers who have strangled them to death. Fantasy is better than this. Fantasy is a way out of the hard, visceral truth. Michelle, ravenously hungry for knowledge even at the age of sixteen, has studied history, classic literature, every book and magazine she can get her hands on. A girl of her intellect is above finding fantasy in reality—though certainly she loves escapism. And she loves escaping. Many families have taken her in and many have lost her. When she is bored with them or sees they aren’t the family she wants them to be, she runs away. Too often her smarts intimidate her foster parents and the love they want to give—a condescending, patronizing love—evaporates like rain on hot black asphalt. Too often her age negates any feelings of need, of want, that a family could have for her. Inevitably, she will return to The Orphanage, the only place which feels like home, and wait to be sent out to a new family, a new place to escape from. Until she is eighteen. Then she will be on her own. She is capable of surviving, physically. But she has never been certain she will survive, mentally, unless she can find others like her, damaged and cynical but able to sneer at life and trudge through it. Tonight she roams the city streets, having just escaped from the Shaffer household. Tonight she breathes in lungful after lungful of bitter urban air and feels the coolness of damp wind as it nuzzles her neck. Michelle makes her way through old alleyways. She slips through abandoned houses and construction yards. Night is coming fast, bringing with its dark hold a freedom she loves, maybe the only freedom she has. There is something liberating about night. Of course, they are going to kill her when she finally returns to The Orphanage. They are going be worried sick, as the Shaffers are now. Probably there is a policeman cruising the streets right now to find her. Probably he won’t find her. She finds a familiar alley and leans against a wall of brick and mortar. The wall is uneven and uncomfortable but she persists and digs a slim, dog-eared book from her back pocket. Great Poems by Women is a book which has brought her a singular feeling of comfort many other works cannot. Her mother had loved many of the poems contained in this tome and read them to her as a child. Memories of her mother are vague—she cannot find proper footholds, crevices in which to poke and prod until love is found hiding. But a feeling of some sort—security, loss—persists. It’s as real as love, to Michelle. It’s all she has left of the woman who birthed her. Michelle pages through until she finds The Eagle and the Mole by Elinor Wylie. There are many lines which she thinks are particularly striking for their imagery and their wordplay. But it is “disembodied bones” which strikes her deepest, sparks her imagination most. A noise breaks Michelle from her poems. She listens, intent on catching the sound again. And it comes. It is a disappointed grunt. It is an agitated moan. These are sounds she has heard from adults all her life. Only now the sound, the sounds, have a subtle off-kilter quality which unnerves her and makes her hands tremble slightly. It feels like the disappointed grunt and the agitated moan are given by a person on the edge of death. This is an absurd feeling to have about a sound which Michelle cannot know really exists. But she feels it all the same. She takes a breath and clears her thoughts. She puts her book into her back pocket and waits to hear if the sound returns. Carefully, she tries to tune her sensitivity to detect and separate real sounds from imagined ones. She looks down both sides of the alley and sees nothing. She balls her fists and knows what the problem is—she isn’t looking in the right place. Turning her gaze upward, feeling her jaw tighten shut, she sees the source. Three men look down upon her from a glassless window. The Fathers, she thinks. That is what the whisperers call the abductors—those who feed orphans into The Orphan Room. Perhaps people can speak of The Orphan Room existing after all, if they have seen The Fathers in action, have seen them haul screeching children away. The men have detestable faces, with eyes like knife slits across porcelain-white flesh and mouths like garish wounds, lined with jagged, irregular teeth. They watch Michelle with their unreadable eyes, their dreadful eyes. One of them croaks out words. Her mind does not make sense of the syllables. She begins to back away from them, slowly at first, then with more speed. She does not take her sight off of the men. They lean further through the window, their bodies cloaked in patchwork suits—the material collected from hundreds of expensive, suave business suits of suave, expensive business men. Any one piece of material taken and expanded into a suit of its own would be handsome and charming, but as works of piecemeal, these materials take on a terrifying abnormality. Just where have The Fathers obtained all the patches of their suits? The faint splashes of red are morbidly telling. Michelle feels gravel and debris crackling under her sneakers. She feels her smallness, her insignificance as a lone stranger in an alley that is not hers. She spins around and goes bolting headfirst into a patchwork business suit and suddenly prying, cold hands clutch at her and throw her over a hard shoulder and she is hauled back toward the waiting Fathers. Slowly she is carried into the building. A scream starts in her but rushes of dizziness and hotness overcome her and then her eyes are closing and she is losing focus and trying desperately not to, trying to let out that stubborn scream. But her will isn’t enough. She manages to tilt her head slightly as her carrier ascends old, ruddy stairs. She sees The Fathers waiting for her with arms spread in greeting, their gestures exaggerated. They are caricatures of men. Sebak flug nip ar whup. These are the strange noises she hears coming from within the throat of one of the things waiting for her. And though the words are foreign, Michelle knows what they mean. Take her to The Orphan Room. Zachary T. Owen is the author of Beauties in the Deep, Burn Down The House And Everyone In It, and The October King. His work has been featured in many print and online magazines. Sometimes he uses a pen name. He is a resident of Pennsylvania. He grew up on Sega Genesis and horror films. You can find him on Twitter.